Pico Bonito National Park is one of the largest national parks in Honduras. Located in the departments of Atlantida and Yoro. This park is in one of the most rugged terrains in Central America: the Nombre de Dios Mountains. These mountains run parallel to the Caribbean Sea, and rise vertically from sea level to over 8,000 feet above sea level, forming a seemingly impenetrable green fortress. The park takes its name from the iconic triangular shaped peak called Pico Bonito. If there is one National Park you MUST visit in Honduras, it is this one! The peak was not conquered until the 1960’s! Even today few people have made it to the top of this iconic landmark in La Ceiba. An expedition to the peak and back takes between 5 and 7 days, and if you are really up to this experience, I suggest you contact La Moskitia Ecoaventuras to arrange the expedition for you. Pico Bonito National Park borders are the Rio Santiaguito on the Western end of the Park. The Rio Cangrejal is the Eastern border of the Park. To the North the natural limit are the coastal flatlands between the sharp rise of the mountains and the sea. To the south the general natural border is the Aguan Valley, a fertile valley that is located on the opposite side of the Nombre de Dios Mountains. Because of is abrupt change in altitude, Pico Bonito National Park probably has the highest bio diversity in Central America. It starts with a tropical rain forest on the northern lowlands. Eventually it turns into a tropical cloud forest in the upper elevations. At the peak, you will encounter a midget forest due to high winds. Finally, the backside showcases a very dry tropical forest. The park is home to the majestic Jaguar, the largest feline in the Americas. Other endangered species such as Bairds Tapir are also found here. Both are the largest mammals in Central America. 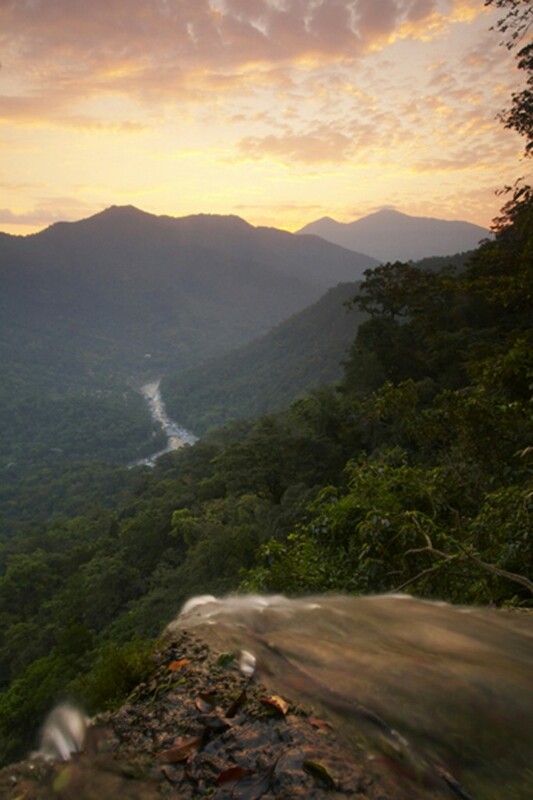 Pico Bonito National Park is also home to some of the most beautiful tropical birds in the world! Keel billed toucans are an easy sight all year round. 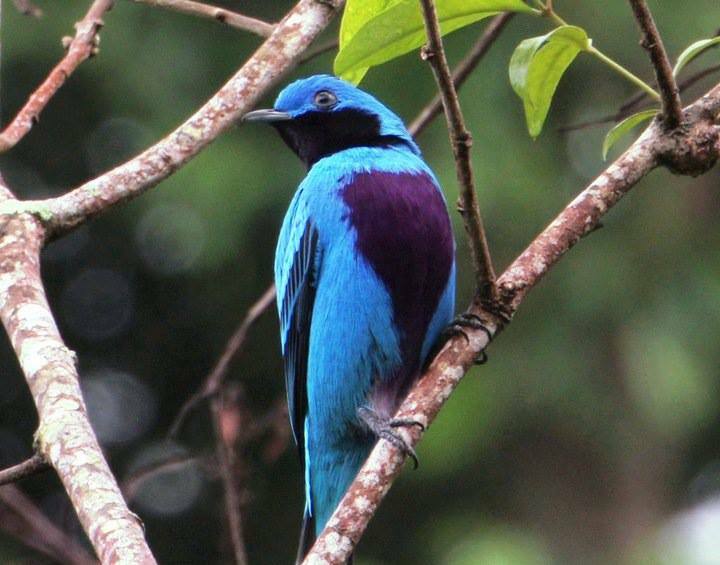 Elusive birds, such as the lovely cotinga, are common in the area. Fortunately, it is quite easy to find lodging in Pico Bonito National Park and surrounding areas. Perhaps the most accessible area to find lodging in Pico Bonito National Park is the Cangrejal River Valley (www.cangrejalriver.com) This area is just outside the City of La Ceiba, and offers the best of two National Parks in Honduras. Yes here you can visit both, Pico Bonito National Park and Nombre de Dios National Park! From the Cangrejal River Valley it is easy to enter Pico Bonito National Park. There is a Visitors Center located on Km 8.8 of the La Ceiba to Yaruca dirt road. 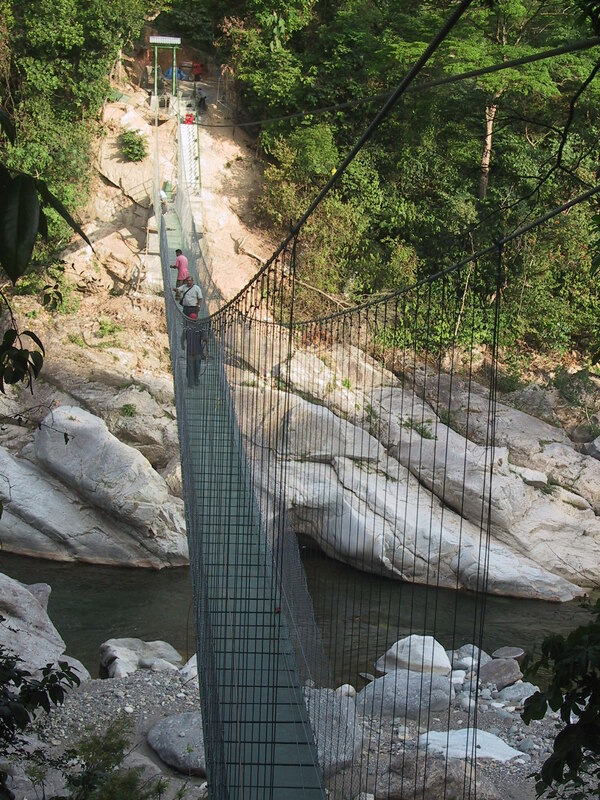 Here, a 400 foot long swinging bridge will give you an “Indiana Jones like” adventure crossing high over the Cangrejal River and bringing you to a network of trails into Pico Bonito National Park. Conveniently located only 200 meters from the Visitors Center, you will find La Villa de Soledad B&B, a lovely and unique boutique bed and breakfast that offers you both, the opportunity to explore Pico Bonito and Nombre de Dios National Parks, as well as a place to simply relax and enjoy nature and catch up with yourself. La Villa de Soledad is a family run eco lodge style property, with comfortable spacious rooms that open up to the great outdoors. Private bathrooms with hot water, and a covered porch that wraps around the Spanish colonial style building provides with many hammocks to relax and read your favorite book or to take a nap after one of the many activities that are available within the area. Best of all, the friendly Honduran hospitality together with the fantastic home cooked meals available on premises will make you not want to leave! 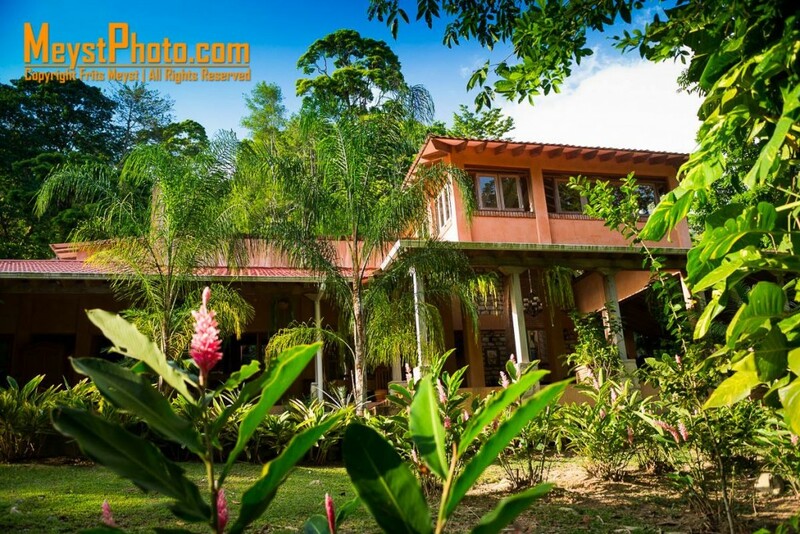 La Villa de Soledad B & B is probably the best deal in town to enjoy Pico Bonito National Park. Furthermore, Soledad and John are fully bilingual and will go out of their way to help you arrange tours and activities.